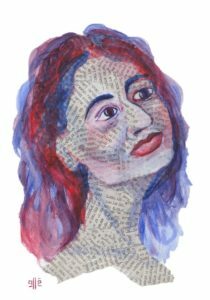 Thanks to the generosity of Elaine Reuben, Lilith has been able to create this online anthology from our archives: translations, essays and culture reporting, all with Yiddish at their core. Taking up the tradition of truth-telling in Yiddish music, we hear the dark stories in those familiar tunes. “Trouser roles” aren’t just the property of Marlene Deitrich and Julie Andrews. Read here about Molly Picon’s popular crossdressing—-and what the droll, surprisingly subversive world of Yiddish film reveals. What’s gender anxiety got to do with Jewish anxiety? Lots. An uncommon glimpse into sibling politics and the hidden dynamics of Eastern Europe’s famous literary family. Why don’t we know about the sister? An eerily autobiographical short story about a newborn daughter—an infant whose realities fail to live up to her own prenatal expectations. The Roaring 20’s lesbian play that rocked Broadway came from the pen of Yiddish writer Sholom Asch. One of the many gifted women of her generation writing in Yiddish, Tussman—who died recently at 91—is remembered here by a younger poet. An added attraction: Falk’s translation of Tussman’s poetry. A truer picture than “Fiddler on the Roof” of what shtetl life was like for women – a new translation from the work of the great Yiddish storyteller.